My given name is Mister Plunket. My new owner, Patricia Lynne, shortened it to Mister and now I post my many poses & photos under The Adventures of Mister. My eighth birthday is Valentine’s Day. So apropos since I’m all heart. I love my pack, Patricia Lynne, Jennifer, Julie, David and Heidi. (Family). My purr-fect solution to every problem? 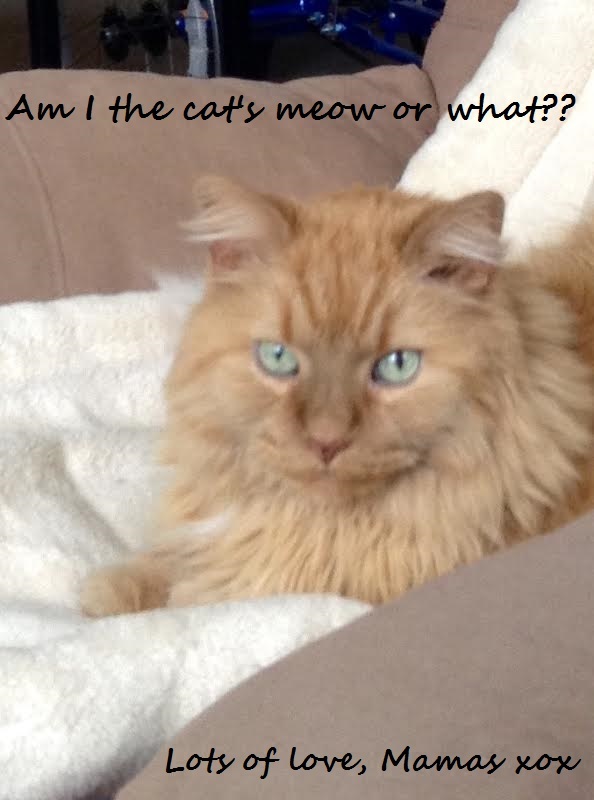 We thank Patricia Lynne for sharing her fine-fellow feline… we adore a spunky cat! !